If uncomfortable removable dentures or partial dentures are interfering with your day-to-day activities, dental implants could give you a new lease on life with a beautiful new smile! Patients and dentists alike prefer replacing teeth with implants because they feel comfortable, look great, and function like natural teeth. Round Rock dental implants dentist Dr. Louk is trained in the placement and restoration phases of dental implants, so you won’t have to visit another office for any part of the implant procedure. 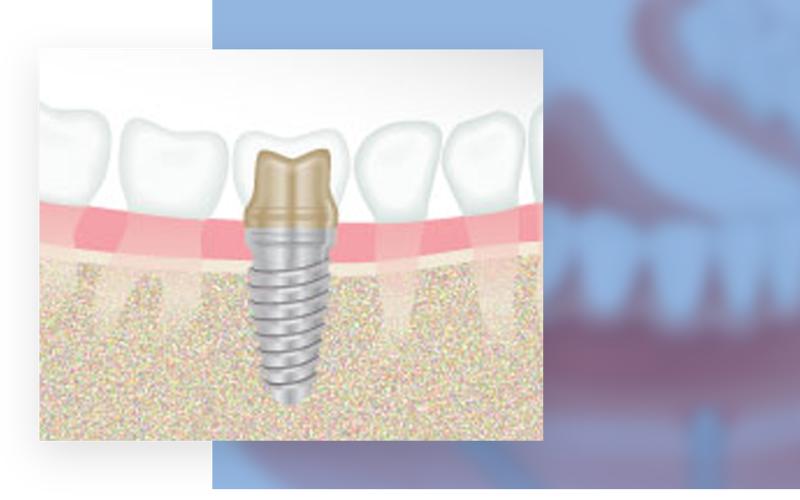 We take care of all your implant needs right here in our Round Rock office. When you’re dealing with missing teeth, you’re dealing with so much more than just a gap in your smile. You’re missing out on favorite foods, speaking with ease, and smiling with confidence. Missing teeth also pose a risk to your health because your jaw bone can begin to break down and your face can lose its shape. It’s important that the replacement you get is strong enough to let you do the things you love and will last for years. That’s why dentists and patients alike prefer dental implants. Round Rock, TX dentist Dr. Louk is trained in placing dental implants and designing great-looking restorations to give you back a beautiful smile. 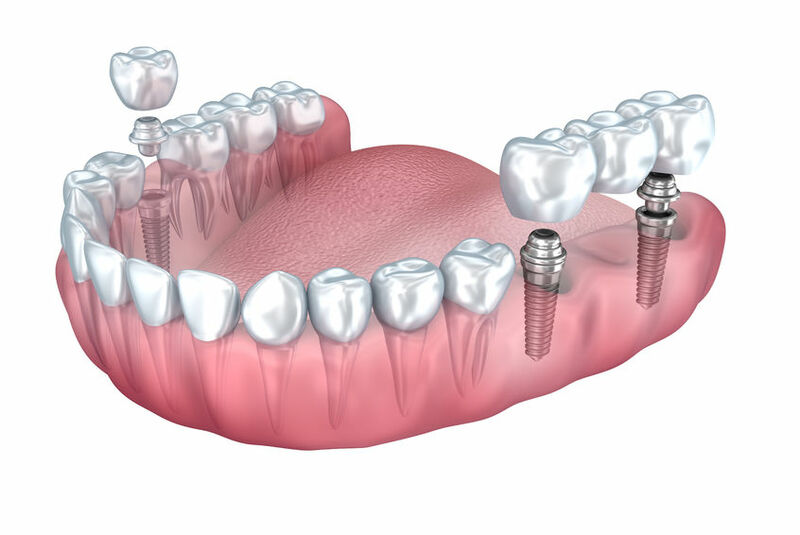 Dental implants are small titanium posts that we place into your jaw bone in place of missing teeth. The titanium is biocompatible, which means that over a period of time, it fuses with the bone to become a strong anchor for the restoration that we eventually place on top. Implants essentially act as the replacement tooth root for missing teeth. Dental implants look and feel natural, and functional naturally too, so you can talk, eat, and smile with confidence again. They fuse with your bone tissue to create solid, secure anchors for restorations such as bridges, crowns, and overdentures. Dental implants look, feel, and functional naturally, so you can talk, eat, and smile with confidence again. Missing teeth can change the shape of your jaw and face; implants provide structure and support, preserving your face and jaw shape. Implants can help prevent the bone loss that naturally occurs when you lose one or more teeth. After your implant is placed, Dr. Louk will discuss your restoration options with you thoroughly and help you can make an informed decision about your dental health. Depending on the number of teeth you are missing, you have a variety of options for the restoration that will go on your implant. Dr. Louk will provide you with information on all options available to you and help you determine the treatment that is right for you. The best way for us to determine if dental implants will work for you is to have you come in for a consultation with our dental implants dentist, Dr. Louk. He’ll take X-rays of your teeth and jaw bone, do a thorough examination, and assess your needs and lifestyle. During your consultation, he’ll also go over the different types of dental implant restorations. If we determine implants are right for you, we’ll schedule your implant placement appointment and discuss the financial aspects of the procedure, too. Dr. Louk can perform most dental implant procedures using only local anesthesia. However, if you suffer from dental anxiety and need additional sedation, let us know. We have different levels of sedation to keep you comfortable throughout the procedure. The cost of dental implants varies based on how many implants you need and the extent of the work we perform. At your consultation, we’ll discuss your overall estimate, how much we think insurance may cover if you have dental insurance, and what your expected out-of-pocket costs are. Our Financial Care Coordinator will also go over your payment options with you to help you determine what’s best for your budget. We want to make sure you get the care you need, so don’t hesitate to ask any questions.